C:\Users\DM\Downloads\[4ls]_katawa_shoujo_[windows][C3798628].exe is not a valid Win32 application. I was able to play the Act 1 download just fine so I am so confused. Re: Not Valid Win32 application? Anyone have a solution? Please help. Please anyone have any solutions to this problem? The only thing I can think of is that somehow your downloads are being corrupted or are incomplete. 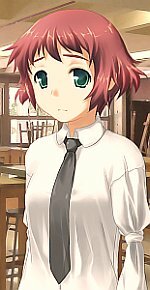 The filename for the latest download I have is [4ls]_katawa_shoujo_1.3.1-[windows][A6A47E20].exe so maybe it's worth trying to get a new download?